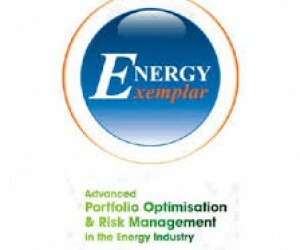 Energy Exemplar is the developer of best-in-class Electric and Gas Market Simulation Software with a customer base spanning the globe and a track record of success spanning more than 15 years. We develop, implement and support the PLEXOS® Integrated Energy Model software. Our dedicated team provides the highest standards of technical support, consulting, data and implementation services to our customers. 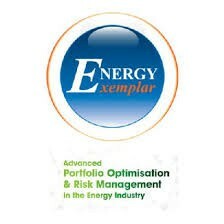 Energy Exemplar continues to push the envelope with extensive investment in research and development. We constantly strive to offer the most comprehensive software solutions to our customer base and ensure that we are first-to-market with the latest advances in optimisation-based electric and gas market simulation technology. Energy Exemplar is ISO 9001 certified for quality software development. From customer requirements through development and testing to delivery we set the highest standards. PLEXOS is tried-and-true simulation software that uses cutting edge mathematical programming techniques combined with the latest data models, to provide a high-performance, robust analytical framework that is auditable and transparent. PLEXOS meets the demands of market participants, planners, investors, regulators, consultants and analysts alike with a comprehensive range of features spanning all aspects of electric power and gas market modelling from economic dispatch and stochastic unit commitment, through medium-term market analysis and hydro and portfolio optimisation, to long-term capacity expansion planning, all delivered through a single fully-integrated simulation engine, easy-to-use interface and common data platform. Often referred to as the “Ferrari of market simulation software”, PLEXOS is the fastest and most sophisticated software available today, and also the most cost-effective. o Seamless integration of unit commitment and economic dispatch, ancillary services, optimal power flow and locational marginal pricing, with Monte Carlo and stochastic optimisation, renewables, emissions limits and gas production and transport. o Multiple integrated simulation phases from long through medium to short-term, decomposing constraints and optimising hydro schedules. o Scalability from single plant or portfolio optimisation to simulation of large-scale systems with thousands of generating units and transmission nodes. o Optimises from sub-hourly intervals as short as 1-minute to hourly, daily, weekly, annual and multi-annual timeframes. Since its first release in 2000, PLEXOS has emerged as the power market modelling and simulation software of choice, with a customer base spanning the globe and including many of the world’s largest and most sophisticated utilities and system operators. PLEXOS simulation results are renowned for accuracy and robustness and have appeared in numerous publications, and are subject to regular and rigorous audit. Worldwide installations of PLEXOS exceed 875 at over 155 sites worldwide in 38 countries.